This patch aims to set the stage for the upcoming season of the Rastakhan Tavern Brawl event. Chinese New Year is a great time for gamers. Many games introduce special events around the holiday that motivate players to log in for limited time rewards. 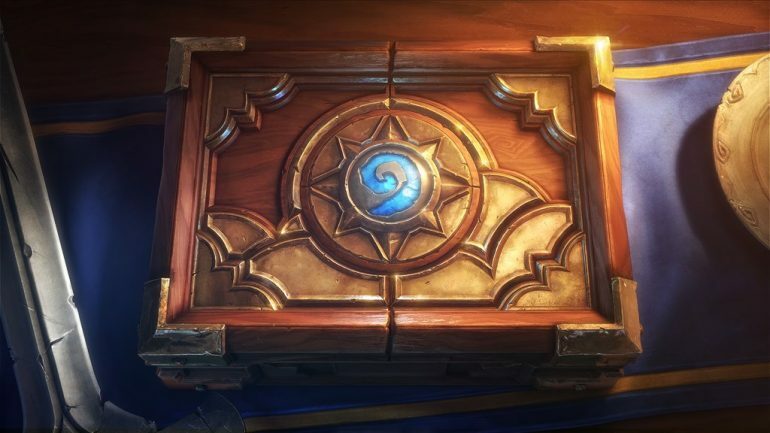 Hearthstone is one such game and is currently hosting its Lunar New Year event. This patch aims to set the stage for the upcoming season of the Rastakhan Tavern Brawl event. 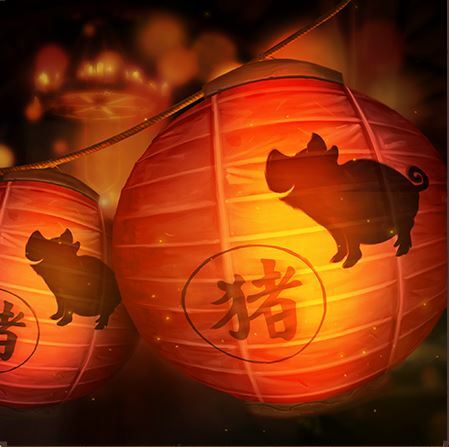 Hearthstone players can celebrate the Lunar New Year in game from Feb. 5-13. Players who log in during the event will get a free rare golden Fireworks Tech card. They will also be greeted by a series of quests built around the event that reward both Gold and Arcane Dust. Usually, quests only give one or the other, so this is actually pretty good value for players in terms of rewards for time spent. Players will also be able to use new emotes. Much like during the December holiday season when players wish each other a Happy Feast of Winterveil, players will greet each other while mentioning the New Year. Blizzard will also be putting out the Lunar New Year bundle. This is a bundle of 30 total packs. 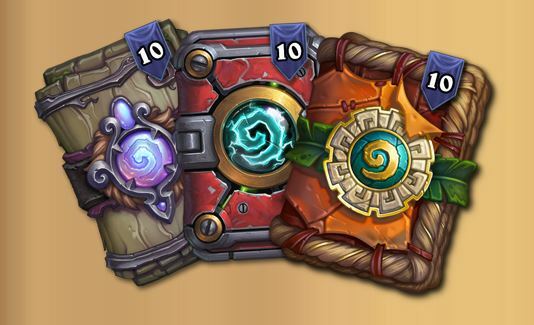 The bundle is made up of of 10 packs each from Witchwood, Boomsday, and Rastakhan’s Rumble. The bundle is available for the sale price of $19.99. Blizzard also announced a new long-standing Tavern Brawl event, which will take place from Feb. 13 through March 3. The Brawl of Champions will be a series of three special Tavern Brawls. Players will be given the opportunity to harness the power of a Loa’s Shrine and to prove to their opponent which Loa is mightiest. While not much is known about this type of Brawl, we do know each Champion will have a new deck and Shrine each week. Players will also receive a new repeatable quest called “For the Glory of Rastakhan.” In order to complete this quest players will need to play a Tavern Brawl at least 3 times. The quest will reward a pack of cards from the Rastakhan’s Rumble expansion. It will become available again every Wednesday while the event is taking place. The patch also brings with it two new earnable card backs. One based on the monster Hakkar, appropriately named the Mark of Hakkar. The other based on the land of Kul Tiras from World of Warcraft. In order to gain the Mark of Hakkar card back, players will need to play against someone who already has the card back. 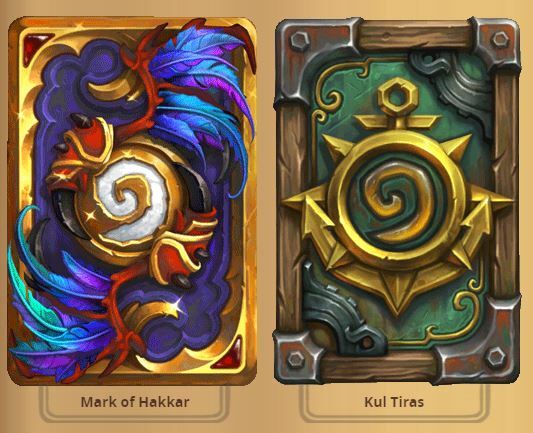 Certain players were awarded the card back at random, so be sure to log on and see if you’ve been infected by Hakkar. The Kul Tiras card back can be gained by playing ranked throughout the month of February. Be sure to log on and check out the Lunar New Year event in Hearthstone before it’s too late. You might even log on to find you have a free new card back. Good luck.